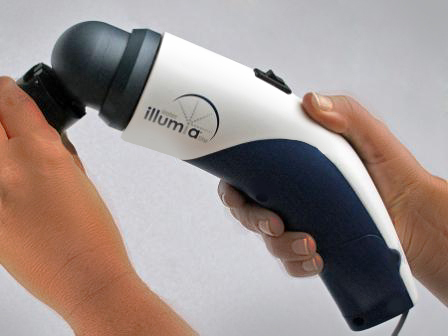 illumia®lite is a robust, sphere based, hand-held spectral flux analyzer. The analyzer has self-absorption correction that is both reliable and affordable. The illumia lite performs equal or better than the more commonly used bench units. It is the leader of hand held analyzers. Labsphere is an internationally recognized photonics company. They manufacture precision standard, custom radiometric and photometric products addressing specific needs of the aerospace, automotive, electronic imaging, laser diode, LED, lighting, medical imaging and optics industries. They also provide custom integrated solutions for customers who require superior optical calibration services. 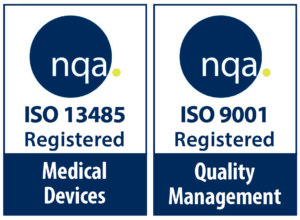 Labsphere came to HaA for help in designing a low cost, human factors friendly product, that was durable, customer serviceable (light replacement) and that would meet their strict performance requirements. The difficulty in this type of product was that the unit needed to be completely light tight. If the unit wasn’t reliability sealed during manufacturing, the readings from the unit would be inaccurate. The combination of needing to be light tight and the customer bulb replacement, required the HaA design and engineering teams to work closely to be innovative with how the system as a whole would function and be manufactured. The output was a device that met Labsphere’s specifications and met all of HaA’s UI/UX standardized requirements. Customers liked the look of the integrated unit and stand, the compact size, balanced feel and its overall UI. They felt the product is very intuitive to use.